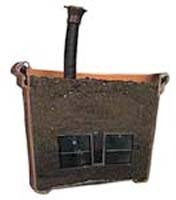 Place Secret Soaker “tank” in the pot before adding soil. 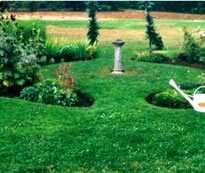 Here is a sub-irrigation system made in England and of Swedish design, that uses capillary action to water your plants, bushes or trees in planters and gardens, large or small, indoors or outdoors. 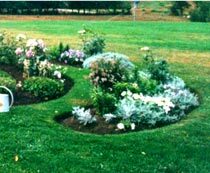 Capillary action is the rising of water naturally from the Secret Soaker to the plant above it, through the soil particles. The MPS Secret Soaker Sub-irrigation System has been in continuous use for over 20 years, including low temperatures in Sweden. Cut-away showing Secret Soaker “Tank” placed in pot. top of the “tank” and the bottom of the plant's roots. Nutrients can be fed into the water, requiring only 25% of the nutrients normally used. As the water level in the “tanks” goes down, the oxygen is drawn down to the plant’s roots. The system only uses 20% of the water used in a surface irrigation system. Water is drawn up through the soil by capillary action. When using the links, watering need only take place about every 4 weeks indoors and every 6 weeks outdoors, but it is recommended that the systems be checked every 2 weeks. This means you can go away without having to worry about watering your garden. The MPS Secret Soaker has been in operation in Europe for over 20 years and is a proven system. 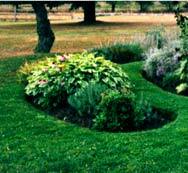 It has been used by individual gardeners and even more widely by municipalities to sub-irrigate large flower gardens. If you need help in determining what MPS Secret Soaker tank or system is needed for your planter or your garden please e-mail us or give us a call. Water is fed to the plant’s roots by capillary action. Air and moisture are constantly being exchanged at the root level. As water level goes down, oxygen is drawn to the plant’s roots. The MPS Secret Soaker system uses only 20% of the amount of water used with surface irrigation of pop up systems. Nutrients can be fed through the system without having them leach through the soil, saving nutrient costs. Ø:38.5 cm, Height 10 cm. 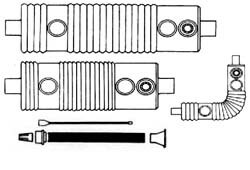 Accessories: End-stops 9.12.60 Air pipe with level indicator 9.71.00-9.73.00. Ø:38.5 cm, Length 90 cm Width 20 cm Height 15 cm. Length 49 - 68 cm.